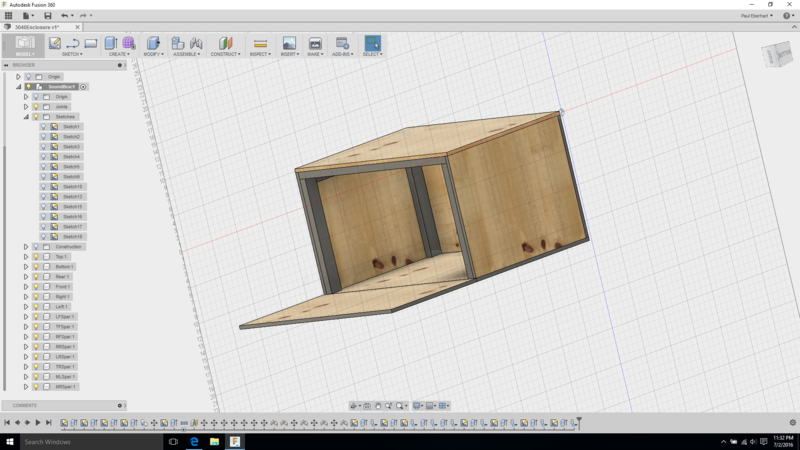 Fusion 360 Model of the machine enclosure. Hi, what were your enclosure dimensions? I have ordered a 3040 and would like to get started on my enclosure before it arrives. Thanks for your help. If you’d like to poke around the fusion model, link. I can’t find a copy of my cutlist at the moment, but I’m sure I could dig it up if you’re interested. Note that in that design the front panel is one top-thickness from coming flush, which some people might not like.